Amazon’s Alexa just celebrated its fourth birthday the other day. Alexa has evolved from being essentially a hands-free gimmick to become one of the most advanced virtual assistants on the market. Just look at the figures. In 2016, Alexa could only respond to around 4,000 commands. By 2017, that number had increased to 35,000. Alexa is picking up new skills and vocabulary faster than a Human four-year-old, at this rate! The number of tasks Alexa can accomplish is only going to continue to grow and expand at an increasing rate as smart technology becomes more evolved. The number of products powered by Amazon Alexa is growing right along with it. To help increase your arsenal of smart products, we’ve compiled a list of the best deals on Amazon Alexa-equipped products. Amazon Alexa-equipped products aren’t just party favors anymore. In fact, you will quickly realize they’re saving you money. The TP-Link HS100 is one of the best selling Alexa products on the market. 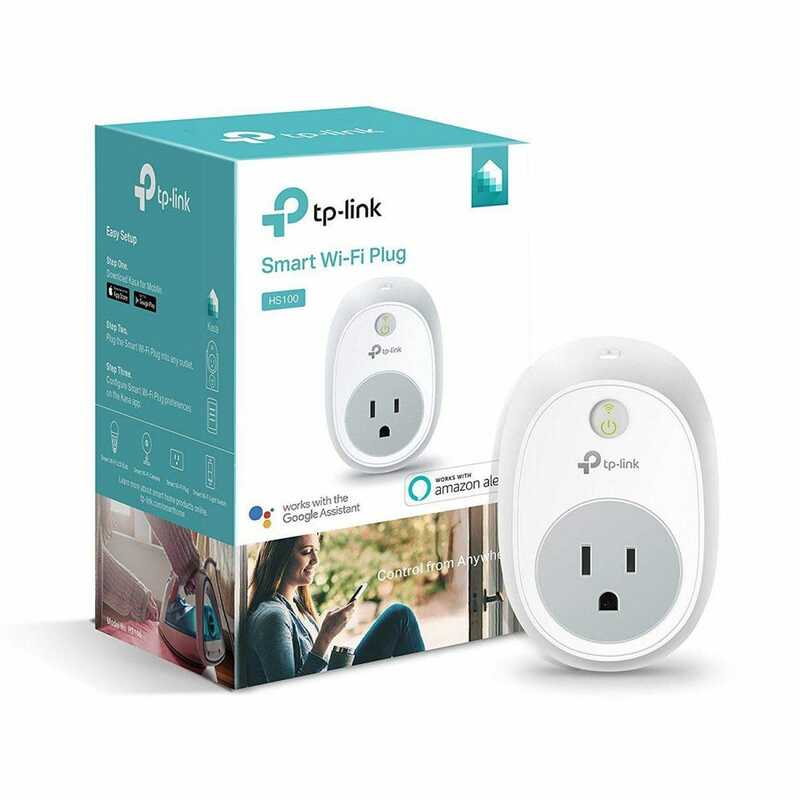 It’s a simple converter for your power outlet, which transforms anything into a smart device The TP-Link is like The Clapper on steroids, as it does a lot more than just turn appliances on or off. You can set schedules and timers and even control multiple devices at the same time, with the TP-Link’s scene setting. The TP-Link works anywhere your Alexa voice control does. This surprisingly useful smart device starts to pay for itself in saved footsteps and wasted trips. Spend that time doing something you care about instead of simply walking back and forth! Here’s your chance to experience smart functionality at an insanely low price. The TP-Link HS100 is 58 percent off, just $16.99 from the $39.99 list price.